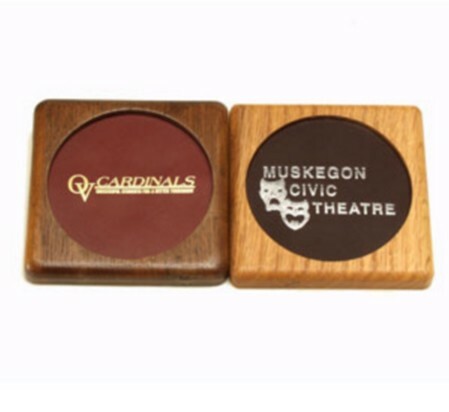 Showcase your company, product line, or organization with Top Grain leather and beautiful oak or walnut. Each coaster has a felt protector on the bottom. Promotional gifts and products leave a lasting impression.